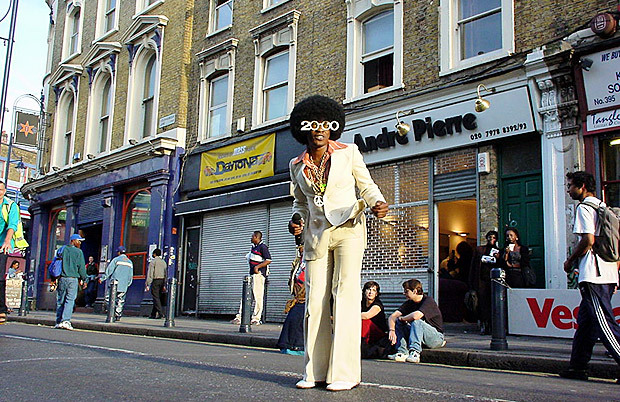 Anyone remember this guy? 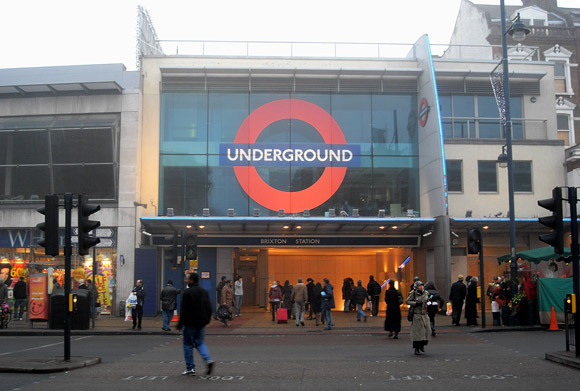 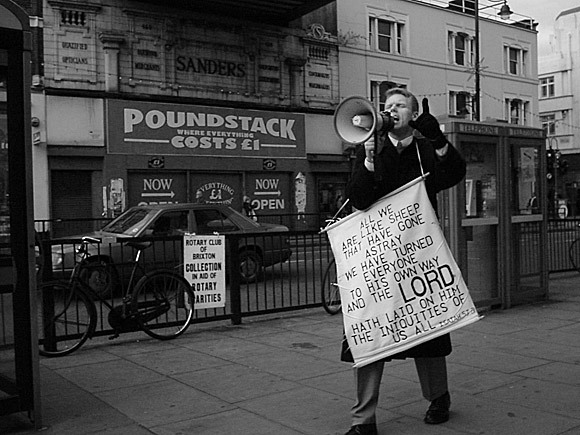 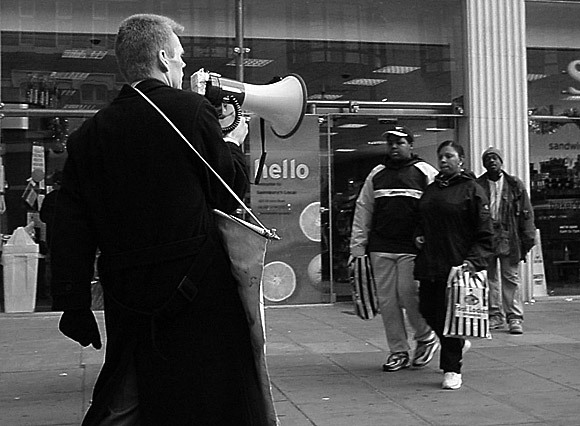 He used to be a regular fixture outside Brixton tube station ten years ago, belting out ‘Fire and Brimstone’ platitudes through a horribly loud megaphone. 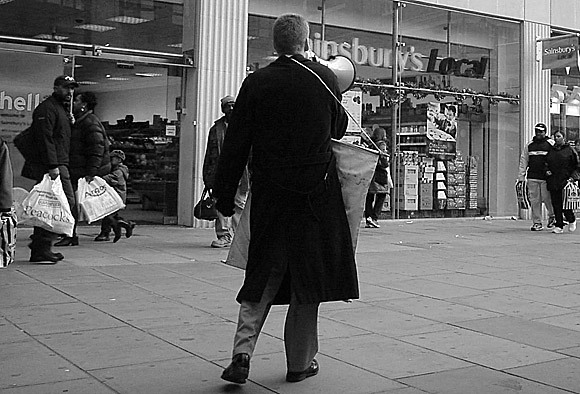 I haven’t seen the fella in Brixton in years now, although there’s no shortage of God-squadders around town, especially on the weekend. 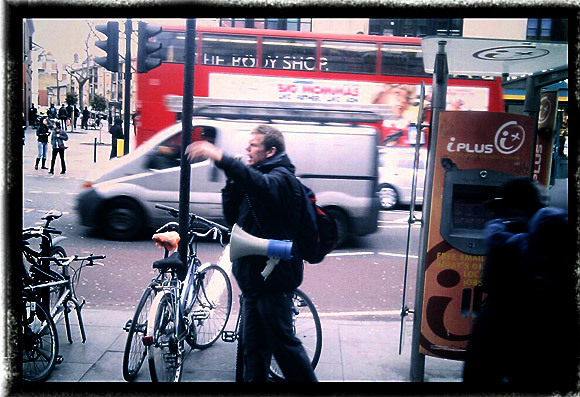 Here’s two more photos of the man in full on shouty action. 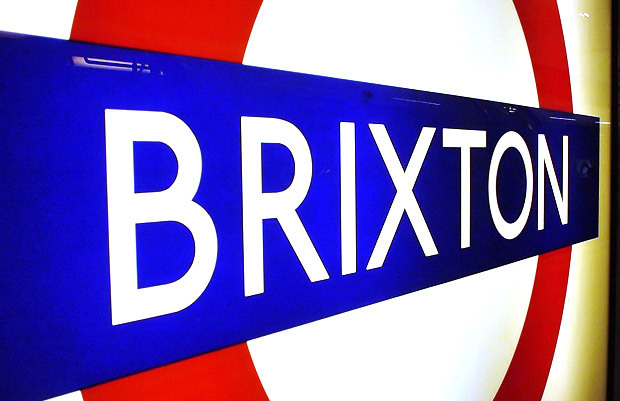 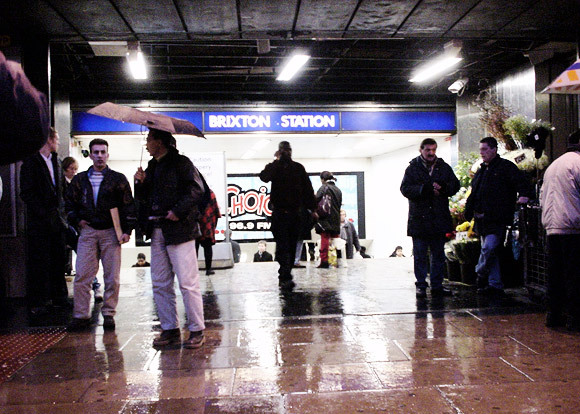 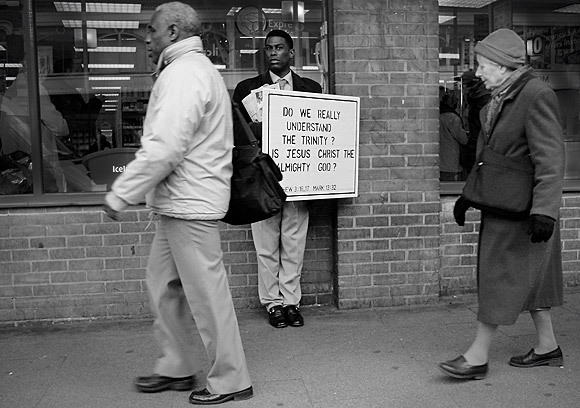 Discuss the Brixton Evangelist here.